Antoinette Fouque cofounded the Mouvement de Liberation des Femmes (MLF) in France in 1968 and spearheaded its celebrated Psychanalyse et Politique, a research group that informed the cultural and intellectual heart of French feminism. Rather than reject Freud's discoveries on the pretext of their phallocentrism, Fouque sought to enrich his thought by more clearly defining the difference between the sexes and affirming the existence of a female libido. By recognizing women's contribution to humanity, Fouque hoped "uterus envy," which she saw as the mainspring of misogyny, could finally give way to gratitude and by associating procreation with women's liberation she advanced the goal of a parity-based society in which men and women could write a new human contract. The essays, lectures, and dialogues in this volume finally allow English-speaking readers to access the breadth of Fouque's creativity and activism. Touching on issues in history and biography, politics and psychoanalysis, Fouque recounts her experiences running the first women's publishing house in Europe; supporting women under threat, such as Aung San Suu Kyi, Taslima Nasrin, and Nawal El Saadaoui; and serving as deputy in the European Parliament. 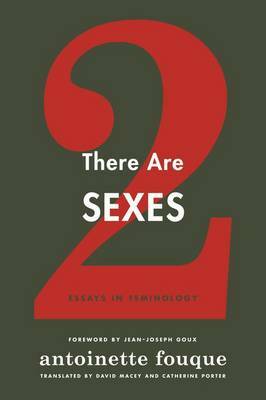 Her theoretical explorations discuss the ongoing development of feminology, a field she initiated, and, while she celebrates the progress women have made over the past four decades, she also warns against the trends of counterliberation: the feminization of poverty, the persistence of sexual violence, and the rise of religious fundamentalism.